A few months ago, I decided to start making my own deodorant. First I got tired of all the unpronounceable ingredients in antiperspirant & then I got tired of paying an arm & a leg for the safer, greener deodorants on the market. So I consulted the interwebz & cobbled together a recipe from what I found. The first batch of deodorant lasted me & my husband three months. I'm pretty sure it cost us less than 10 cents per person per month. It really does work quite well (not like antiperspirant, which keeps you smelling like fake flowers or whatever) but prevents you from crossing that line between smelling human & stinking. However, I found that my new deodorant was making me a bit itchy sometimes. 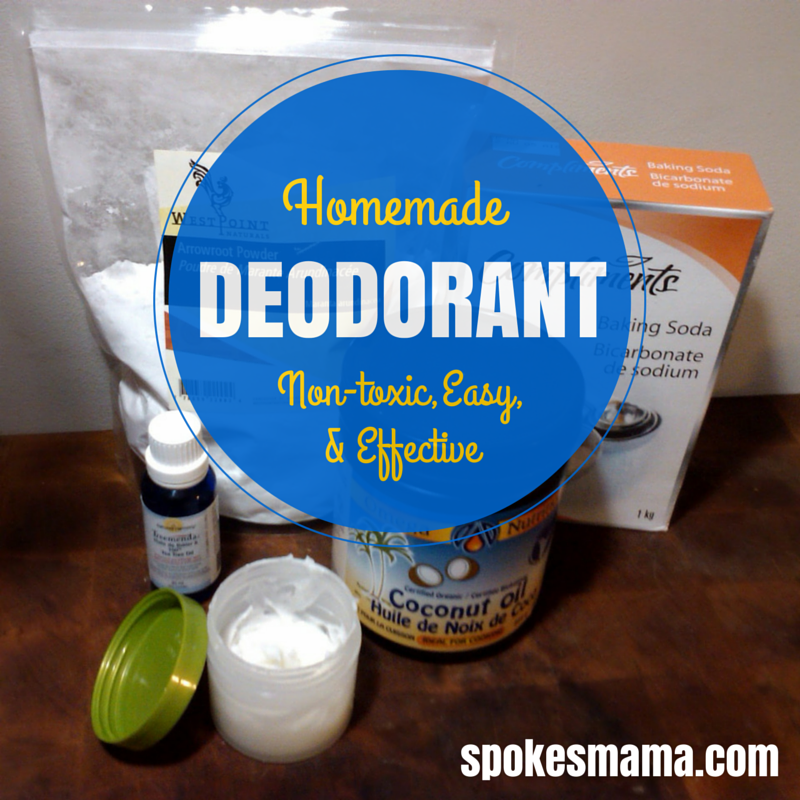 When researching homemade deodorant, I'd read that using cornstarch sometimes causes issues with yeast, so maybe that was the source of the redness & itch. Arrowroot powder was reputed to be better, so I decided to pick some up. For version 2.0, I followed the same recipe as I used last time, substituting arrowroot powder for corn starch. It doesn't change the consistency, look or smell at all. I find it works the same & a week in, I haven't had any itchiness like I did with the corn starch version. Update: after a month of using the arrowroot-based deodorant, I can definitely say it works just as well & has produced no itchy redness at all. Yay! Go for it! You could even make it in a tiny quantity so it's super portable. Maybe use a teaspoon of each with just a drop or two of essential oil?